It's no secret October is my favorite month of the year. 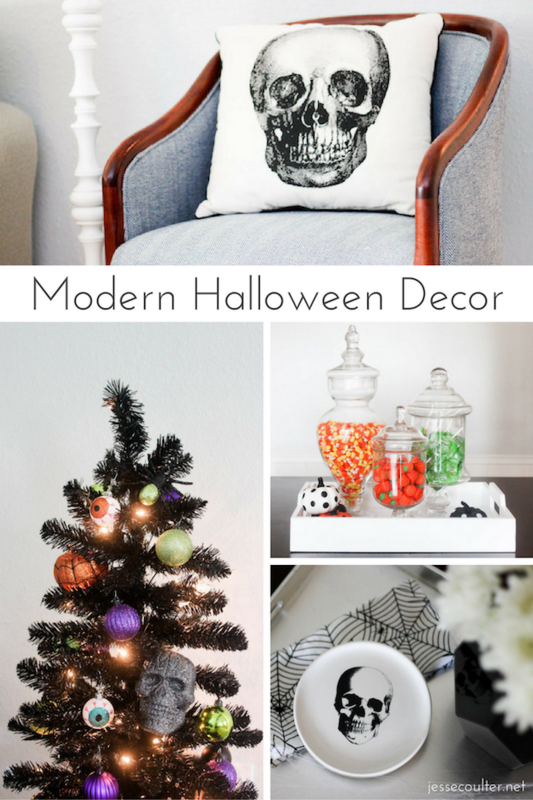 I love decorating my home to celebrate Halloween and this year I headed to At Home (home decor superstore) to find the perfect items! 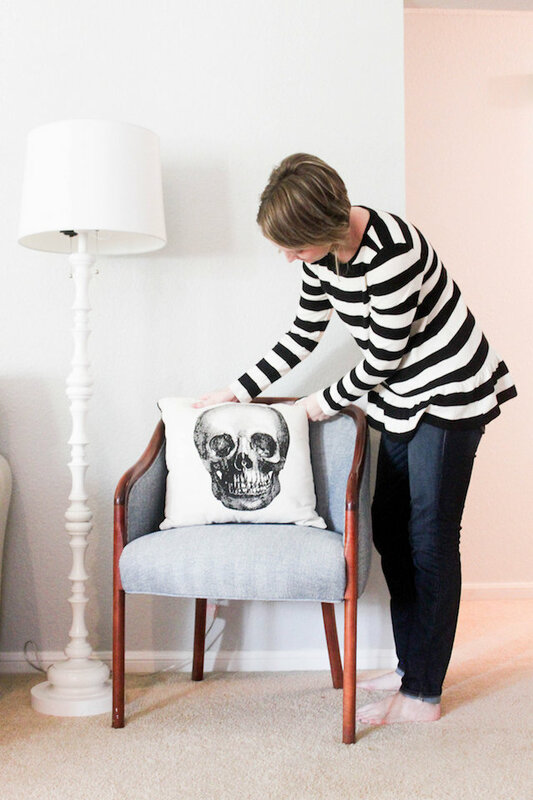 I'm sharing with you 5 easy ways to decorate for October's spooky and fun holiday! 1. 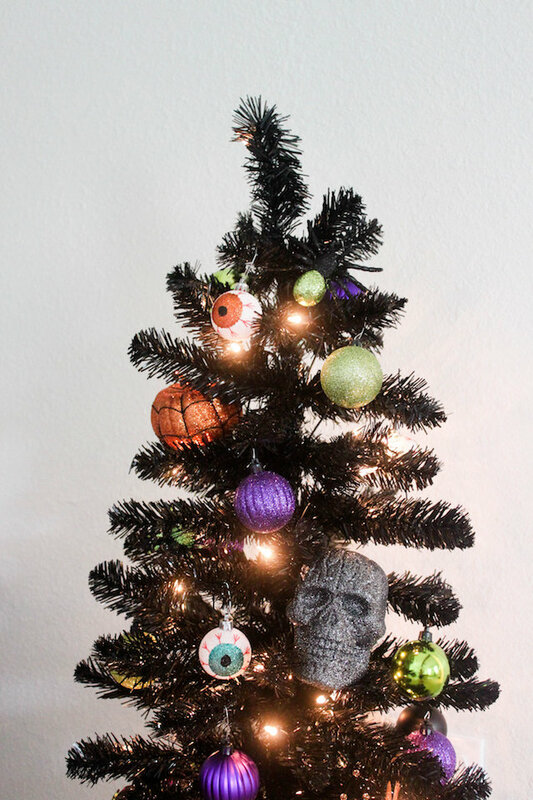 Add a Halloween tree! 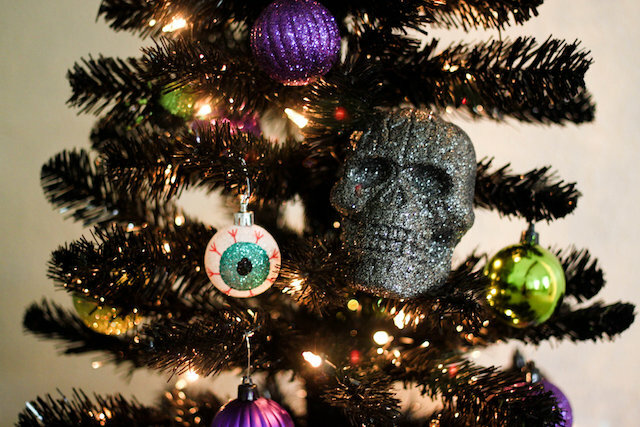 At Home has orange and black trees that are super fun to decorate with spiders, skulls and pumpkins. 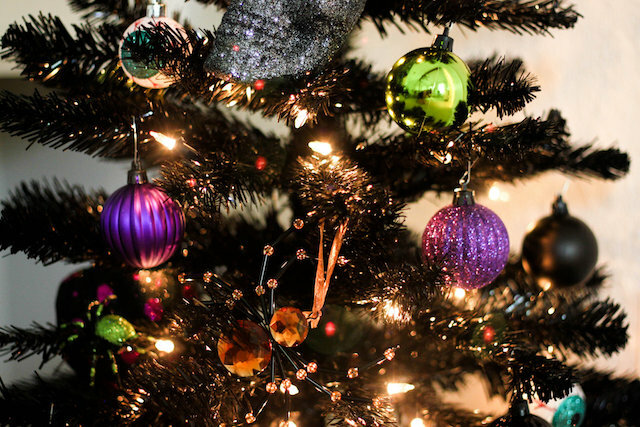 Who doesn't love twinkling lights? !You could also add spider web for a fun texture and spooky look. 2. 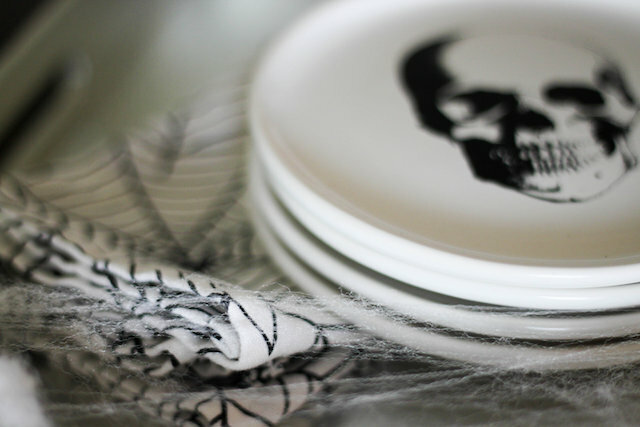 Spruce up your serving ware with Halloween inspired plates and napkins. 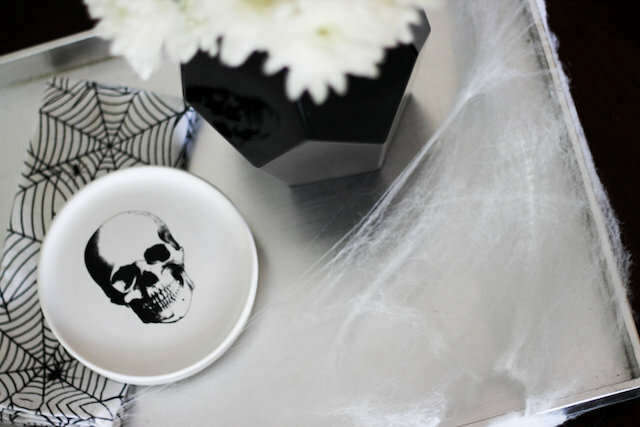 I added some spider web to this At Home metallic tray to give it a spooky feel. 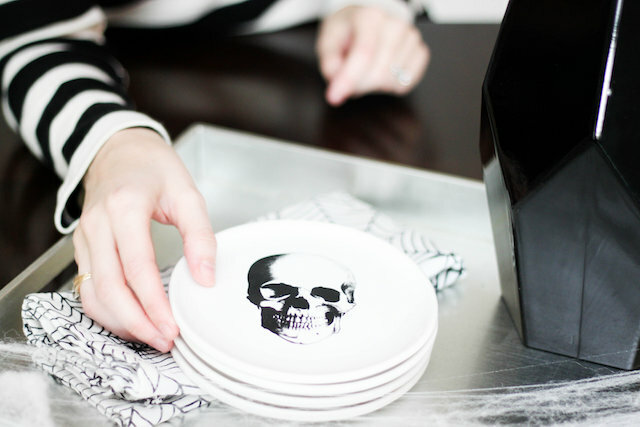 These plates are perfect for Halloween parties. 3. 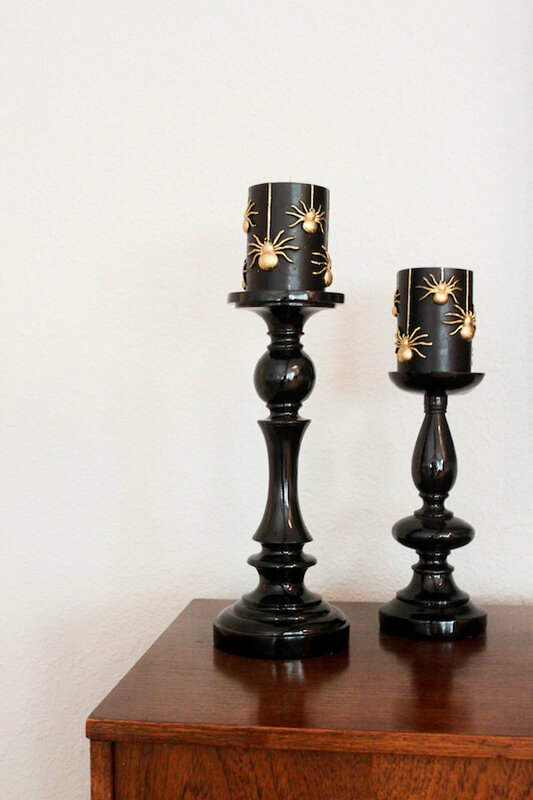 Switch out your summer decor with Halloween inspired pieces such as a black vase or candle sticks! 4. 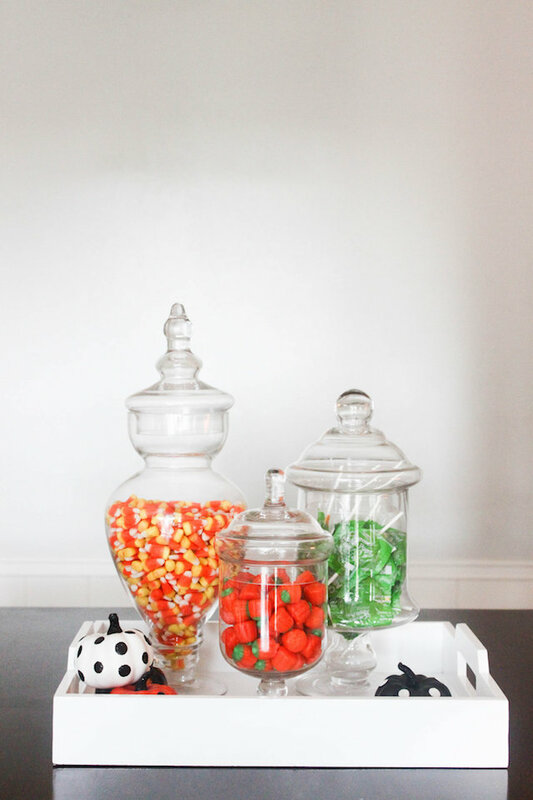 Add color and texture to your home by adding Halloween candy to Apothocary jars. 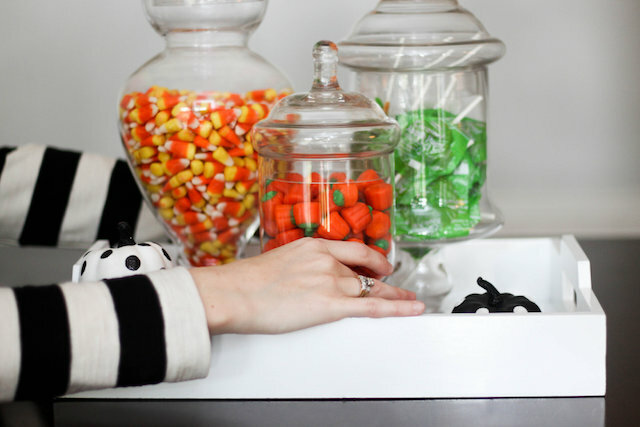 The hard part will be keeping the candy out of your kiddos hands. 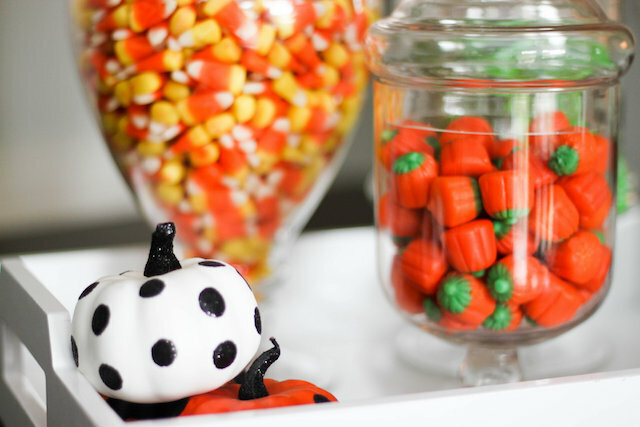 These are great not only for Halloween parties or but any event throughout the year! They also are beautiful centerpieces for your dining table. 5. 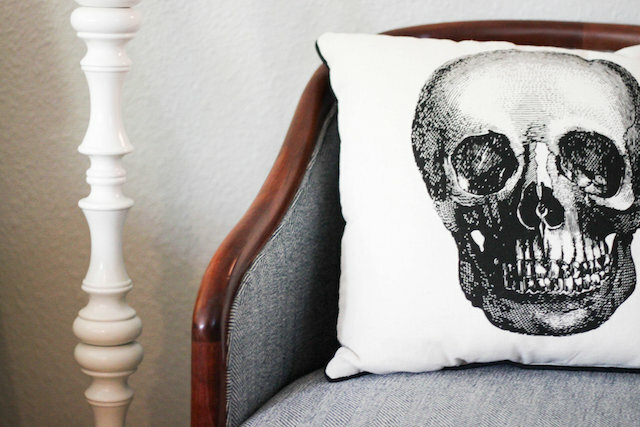 Spruce up your living room and bedrooms by adding Halloween inspired pillows! 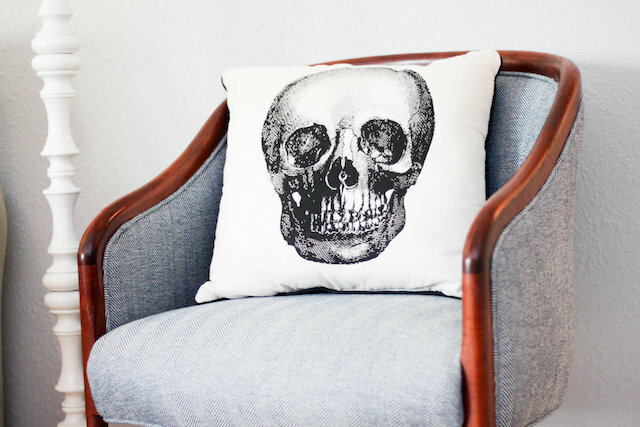 I love the look of this modern skull pillow. Alex and I throw an annual Halloween costume party at our home, and I like to go all out with decor and food presentation. 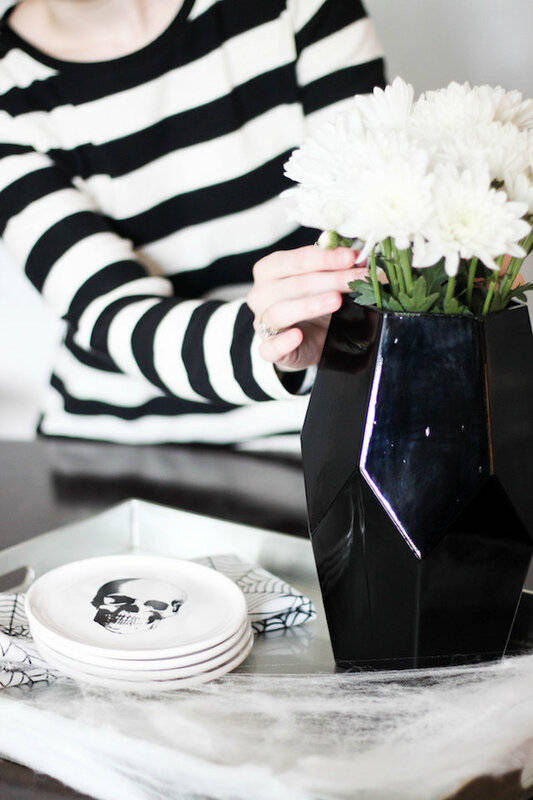 I love that these items spruce up my home for the month and on the night of the party! Now the tough decision. What am I going to be?! I've contemplated; Buffy the Vampire Slayer (original movie), a Snapchat filter, Beetlejuice and Barb from Stranger Things. Any ideas? 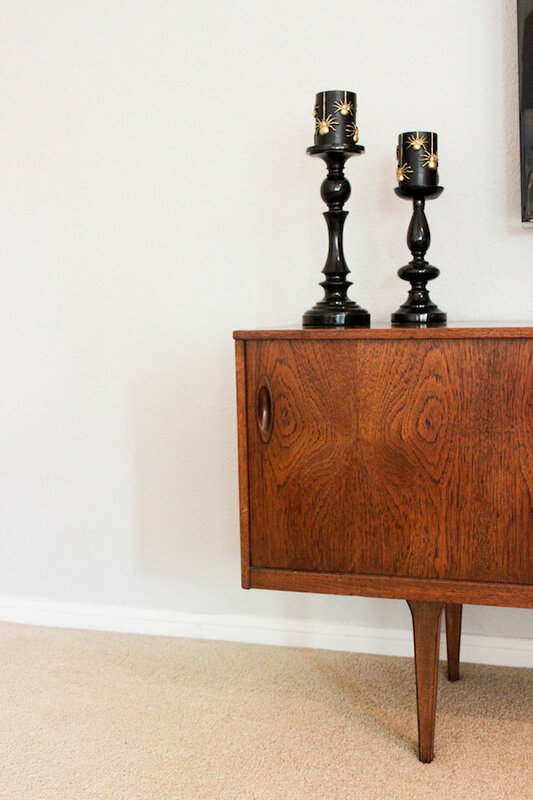 I've teamed up with At Home for this post, but all opinions are my own. Thank you for supporting the brands I love! 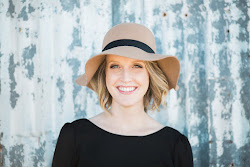 Thank you Brooke Taelor for these wonderful photos! 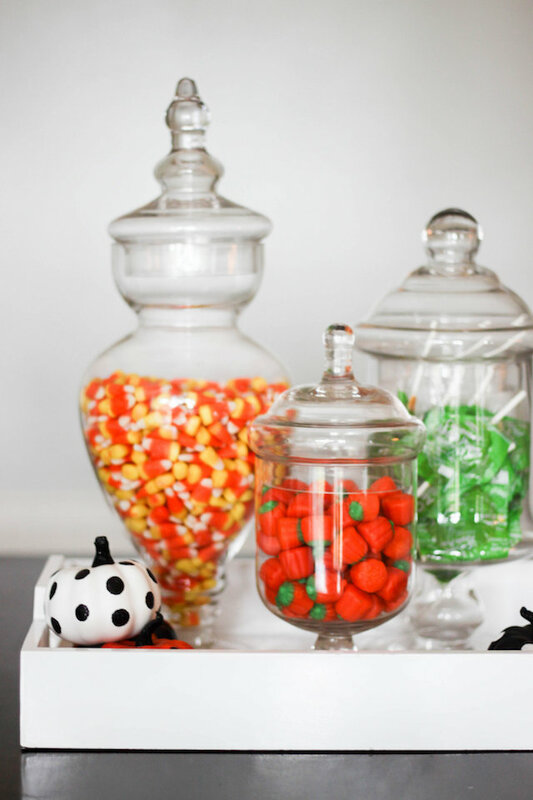 Love the simple decorating with candy dishes. 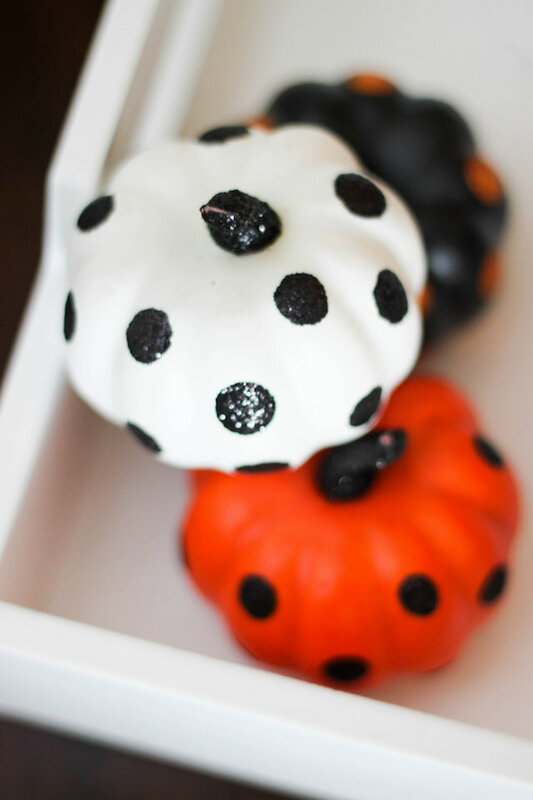 Plus painting pumpkins are always a fun touch. The spider candles are my favorite! Such cute ideas! 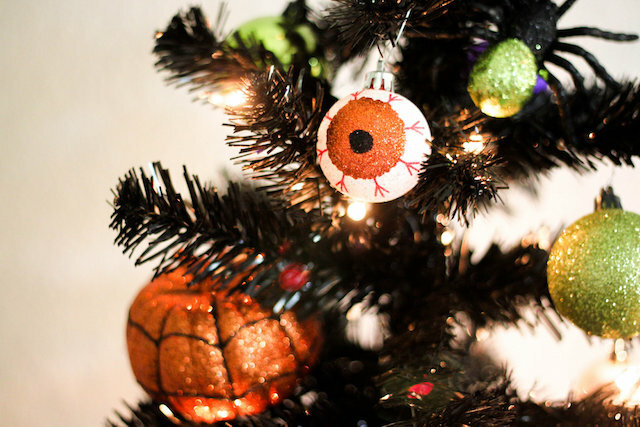 I absolutely love the Halloween tree. What a fun way to celebrate. 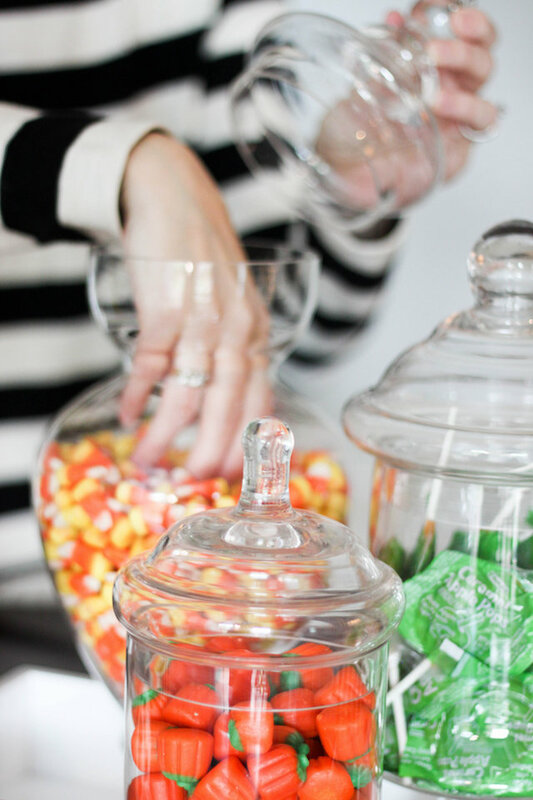 That candy wouldn't last more than a week in my house, the jars would make it so easy to just pop in a couple of pieces as we walked by!! I love these ideas! 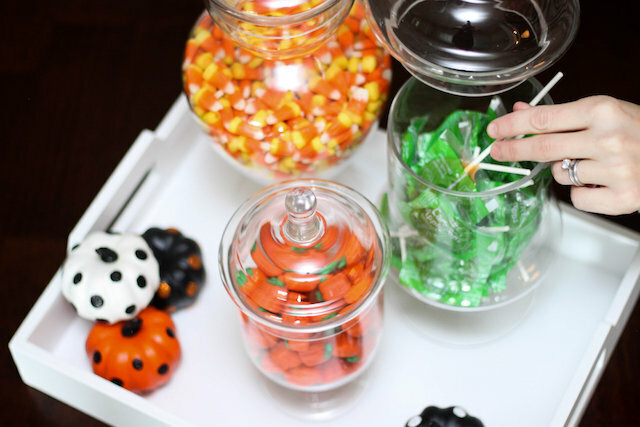 None of them are too over the top or tacky- they all seem to add a perfect classy touch to halloween decor! Love those plates, especially! Love these ideas. 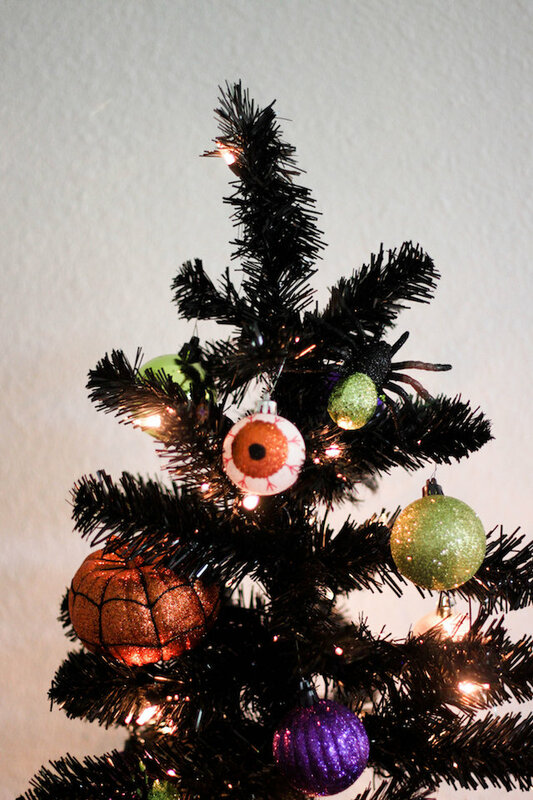 I laughed when I saw the Halloween Tree. I used to beg my mom to leave the tree up and we could decorate it for each holiday!